The God Maker - How God Became God has been published! HOLOPHANY is a new paradigm that provides tools to understand and control many diverse aspects of existence. The novel approach of this new philosophy and logic, Holophany, is to utilize the hidden potential of reality instead of the conventional way of relating to phenomena or situations. Instead of assessing, categorizing and seeking the lawfulness of phenomena, Holophany focuses on those principles that generate phenomena or the emergence of meaning - any meaning, any reality. Whereas we were told that truth will set us free, the many truths that we were given became scientific, social, economical, religious and personal dogmas that instead of setting us free, imprisoned us in straitjackets of beliefs about how things are or how they should be. Holophany provides the means for the exodus from this slavery of our own minds. HOLOPHANY means, manifesting wholeness: holo being wholeness, and phany, manifestation in Greek - the act of manifesting wholeness. Could there be one generating principle for all aspects of existence? The answer is: YES. The Holophanic Loop Logic encompasses the long sought after unifying principle, the most fundamental processes that constitute Nature, our thought processes or life. 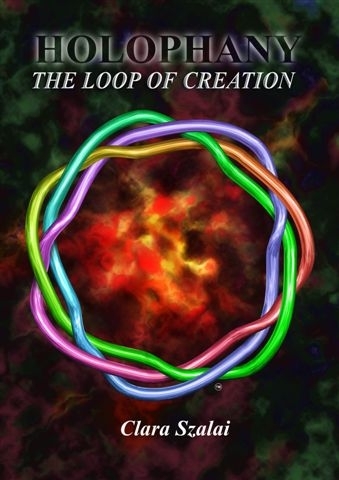 The Loop Logic is a unique structure that on the one hand, proves the necessity of existence, or how there is something from nothing, and on the other, this is a logic that provides a comprehensive exposure of most aspects of the human condition. Whereas conventional logic failed to oust the shunned indefinite or undecidability, the Holophanic Loop Logic found the indefinite to be indispensable and embraced it. The stunning result of this insight was the emergence of a unique worldview that can change not only one's personal outlook on life, but also help generate new sciences and technologies. For over two thousand years philosophy ruled the lofty towers of wisdom, and philosophers asked eternal questions: how is there something from nothing? How do I know that I am me? What is the nature of knowledge? What is life? Does consciousness outlive the body's minute existence? How can we understand infinity with our finite minds? Can the mind understand itself? Natural philosophy was one of the many disciplines of philosophy. But when Descartes' (French philosopher and mathematician - 1596-1650) mechanistic worldview separated the mind from the body, natural philosophy broke free from the shackles of spirituality, and became science. Science evolved with giant leaps fostering technologies that changed our lives. And what happened to philosophy? Like any obsolete field of study, it turned into the history of itself: philosophy professors are paid to quibble over what this or that philosopher of yore meant when he said so and so - oh, yes, hair-splitting the wisdom that was - accompanied by loud ruminations on morsels from modern science. Although technologies can continue to develop with enormous swiftness, these technologies are based on the scientific paradigm that was conceived in the beginning of the last century. Science has reached its own impasse, direly needing new directions. But philosophy has fallen from grace; from trying to provide a clear, all-encompassing conceptual overview of existence, from being the guidance of scientific endeavor, to merely trying to explain science. Unable to bridge between rationality and spirituality, at most, philosophy today rationalizes the need of spirituality. However, like a Phoenix, philosophy rises again from its ashes in the form of Holophany: a rational spirituality based on the Loop Logic, which can guide science to new plateaus. Why is science uneasy with the notions of consciousness and God? 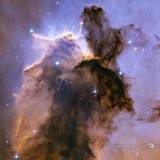 In its present form, science deals with measurable entities and has not yet found a way to quantify the spirit. A priori, it never will: a quantifiable God would not be God. If God cannot be quantified, if God cannot be defined, then God is indefinite. Consequently, God cannot be incorporated into a scientific paradigm that does not, cannot accept the irrational, inconsistent and the indefinite as part of its own structure. As anti-intuitive as this may sound, precisely this inability of science to deal with the indefinite limits its endeavors to idealized mathematical structures that are unable to express the full complexity of Nature. This simple fact alone suggests that science is incomplete in its formidable attempt to express everything in well defined terms. It follows that maybe science is wrong in assuming that only well quantifiable entities are workable tools. Indeed, the 19th century aspiration to achieve a totally defined and complete system was proved untenable by the famous mathematician and logician, Gödel in 1931. He demonstrated that complete sets of axioms in number theory would lead to undecidable (indefinite) and hence, inconsistent results, or if consistency was preserved, then the system was incomplete. Although one or another form of religiosity can be found in all cultures, that prevalence raises the question of the function of religion. Why is there faith? When science tries to analyze this question, the basic assumption of scientific inquiry is: every universal phenomenon must have a rational, deterministic explanation, or if no such is available, then the universal phenomenon must be a by-product of something else, which is rational and deterministic. That is, the basic assumption of science is that Nature is rational and deterministic, and we only have to find the right way to describe it. Some scientists will add, that everything that science ever examined, was either deterministic or random, and therefore, free will cannot exist, as free will, per definition, is neither deterministic, nor random. Such a worldview would infer, for example, that criminals cannot be held responsible for their deeds. With such premises, science will never be able to deal with all aspects of existence. The dualism separating the mind from the body allowed science to evolve based on causal laws, whereas experience, the immeasurable, remained within the realm of the spirit. This division worked for mechanistic science, but the fact that science is unable to include all aspects of existence (such as God or consciousness) points in the direction of other than causal lawfulness. Quantum leaps of science occurred when science changed, not when the fashion whereby phenomena were categorized, changed. If we are to understand the notion of God from a scientific point of view, the premises upon which scientific inquiry is based, should change. For instance, Werner Heisenberg (1901-1976) came upon his famous uncertainty principle by changing his worldview. In his book, Physics and Philosophy, Heisenberg says, "The final solution was approached in... turning around the question. Instead of asking: How can one in the known mathematical scheme express a given experimental situation? the other question was put: Is it true, perhaps, that only such experimental situations can arise in nature as can be expressed in the mathematical formalism?" The first question is the usual way of asking about an objective external reality, how one can understand, describe what he sees (phenomenology). This presupposes that what one sees is an objective reality, and he only needs to find the right mode to describe it. Since that way of looking was not applicable when dealing with subatomic particles, Heisenberg chose a new way of looking. Thus the second question, the one that brought about the solution by introducing a new physics was: perhaps only those situations can exist in the physical world (external to the observer) that can be perceived by an observer. In order for science to "understand" the notion of God, life, consciousness, awe, or perception, science will have to include the indefinite within its premises. Such an approach is the essence of the new philosophy and logic, the Holophanic paradigm that explores the necessity of the indefinite within any definition, any existence. When the indefinite, albeit irrational, is seen as a logical necessity, then this sheds some light on hitherto unsolvable conundrums. Consider, for example, emotion: when we try to justify an irrational act, we resort to explaining it as emotionally driven. Politics, religion, and even our foremost desires are considered to be emotionally motivated, and hence, irrational. However, emotion (which is irrational) cannot be separated from rationality, but is part and parcel of rational behavior and proper decision making, as has been pointed out by the neurologist Antonio R. Damasio in his book, Descartes' Error. Damasio demonstrates that if the ventromedial prefrontal cortex is damaged (the brain site associated with strong instinctive feelings of emotional connection), then the patient may seem to be totally rational, fully intelligent, yet his behavior is irrational, his decision making erroneous because he does not feel, does not react to emotional stimuli. This surprising conclusion that rationality to be rationality has to include the irrational, is not unlike the logical implication of the necessity to include the indefinite in any definition. This novel approach has engendered a comprehensive non-causal language that incorporates more aspects of existence than the still surreptitiously persistent mechanistic Cartesian worldview separating the mind from the body. The idiom, "rational spirituality" might be considered an oxymoron. What is the difference between science and metaphysics? Science deals with measurable, quantitative entities whereas metaphysics and spirituality focus on the qualitative, the immeasurable. Because of their indefinite nature, usually, the topics of spirituality are based on faith. Faith and religion are non-associable with rationality and neither with empirical findings. Adding big words from science to spirituality, such as "quantum," "tachyons," or inventing physical laws, such as the law of attraction (there is no such physical law), do not add rationality to spirituality, but quite the opposite - they rather make it a senseless mess. Then what is rational spirituality within the worldview of the new philosophy and logic? 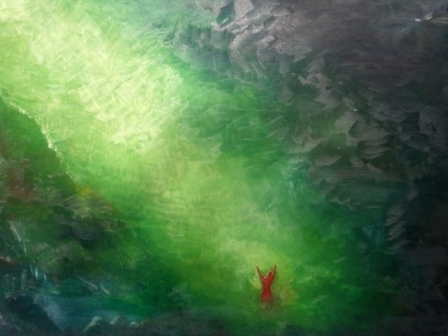 Holophany's approach to questions such as Creation, the purpose of Creation, God, consciousness, experience and so on, is not based on faith; faith and beliefs state how things are - whatever is believed to be the truth. Holophany relates to the structure of beliefs - any belief, and having found that the structure (emergence) of beliefs is identical with the structure of anything else, this philosophy regards any belief, any truth as any other empirical object. The difference between these objects is their contents whereas their structure is the self-same structure as delineated by the Holophanic Loop Logic. And so, we can understand the structure of experience, the structure of beliefs, the structure of physical existence. This structure is rational, and that is spirituality: this isomorphic overall structure of being. If God is responsible for the emergence of everything, then God is this isomorphic logical structure. Holophany was conceived through psychic experience inspired by SHET. SHET dwells within me, within you, within everyone. The only difference between you and me is that being aware of SHET's immanence, I can actively interact with SHET thereby participating in the cosmic dance, which is what SHET is. How do I know SHET? By unknowing my little defined self, by shedding everything that defines and thereby, separates me from SHET, by becoming the indefinite potential of anything and everything, which is what SHET is. I'm internal to SHET, you are internal to SHET, everything is internal to SHET. SHET is the underlying lawfulness, the mechanism that generates itself, our awareness, and our perception of the world and everything else. SHET is the active face of God, so certainly, we are internal to the mechanism that generates us. But how can we be internal to SHET if SHET is internal to us? How can both statements be true simultaneously? Isn't that a paradox? It is. Then how can this conundrum be resolved? From SHET's point of view we are internal to SHET whereas from our point of view SHET is internal to us. Anything is only meaningful if there is a viewpoint that gives it meaning, and so, to understand something, we must ask, "From which point of view was it stated?" Then what is the truth? Is SHET internal to us, or are we internal to SHET? Sorry to disappoint you, but there is no one absolute truth; every viewpoint has its own truth. Or in SHET's words, "Every eye sees God differently and every eye is right." However, we can exercise our freedom of choice by changing our viewpoint. The big secret, the elixir of happiness is: one's viewpoint is the dynamics that creates. Changing one's viewpoint - how one relates - creates new realities instead of coping with one undesired reality. And now, the biggest secret of all: when contradictory viewpoints coexist within one framework, then these create a paradoxical internal tension that cannot be resolved. However, the continuous effort to resolve it is the generator of existence, the condensation of creativity itself and that is what SHET is. Put differently, it's not what there is already that makes a difference, but the attempt to solve internal paradoxes is what engenders the creation of something, which is what SHET is. SHET is the formative element that allows Creation in the sense that Creation can go on creating, or should we say, the self-generative factor, which facilitates the continuance of Creation. Thus your beginning of time is the creation of the condensation of creativity itself, the loop of observing Creation, which means, generated from and containing the indefinite. That is the subtle field which is the fertile ground for any kind of creation. Read more about What is SHET?, the ADAM KADMON from Kabbalah (Cabala) interpretation of SHET, as well as Heralding about how I receive information from SHET. There is nothing to teach except tools. Teaching people how things are is teaching them beliefs and dogmas. To educate people to become moral citizens, you need to teach them enough tools and logic, that way of thinking which allows them to use these tools. And then, they all will be moral. You have not understood yet that the tools I give are the essence of existence. There is nothing but relations, the way you relate, which creates meaning and feedback, and even physical objects. So if you teach the tools to greater depth, then you know you don't need more." To read SHET sessions, click here. When you seek certainty, you find frustration. But when you look for probabilities, you discover the world. The search for meaning for one's life, for self-expression, self-enrichment, self-confidence and mainly, self-definition, are typical of a decadent society characterized by increasing superficiality. We want miracles, riches, happiness, glory, and we want it in three easy steps. But perhaps, the tremendous stress caused by the fast pace of life today is due to skipping the necessary steps that could make us contented? When you are encouraged to know who and what you are, this is an invitation to define yourself. First, this limits your possibilities to be more than what you have defined yourself to be. Anyway, you won't be happy for a long time with any definition, and so, you'll constantly try to improve it, which is the second flaw: constant preoccupation with the self. Notice an interesting fact: the more you think of yourself, the more dissatisfied you are with your life. That's because the more you think about life, the less you live, just as the more you think about yourself, the less you experience. When you glimpse your child for the first time and tears of awe blur your sight, you don't think about yourself; you experience the rapture and you remember that moment for the rest of your life. It has meaning for you, it is valuable. Such moments make up the unique you, and not what you think about yourself, or what you think others think of you. You cannot grow by wanting to grow, by focusing on yourself. When your world is between you and yourself, then this is a very small world. You cannot grow by comparing yourself to others. You cannot grow by trying to enhance your self by becoming more separate from the rest of the world. You grow through responsibility, through response-ability. When your response-ability grows, then every creature of the world is within you, and then you are the world. Individuals addicted to desires for the self and fears for the self are easily controlled. Anyway, they are too shallow to have their own desires, so they can easily be manipulated to have those desires that best fit the purposes of the ones in control. By spreading rumors of constant danger, they trigger the wish for certainty and more definition thereby further encumbering the real potential of the individual. The more shallow the individual grows, the more he/she expects to be rescued, protected, reassured, and is willing to vote on whoever promises that. Holophany does not teach dogma or what one should think, but provides a valid method of thinking. What is this valid method of thinking? The abstract way of putting it is, the process of perception, the process of definition, the structure of any reality and what it infers, the process of how anything gains meaning. The down to earth way of putting it is, how to be a balanced, compassionate and active individual, the potential to love, learn and have fun. Read about Responsibility - the Ability to Respond and How can your Attention be Utilized as your Energy? Holophany, the new philosophy and logic is a new philosophical paradigm that provides tools to understand and control many diverse aspects of both philosophy and also, existence. Since the contemporary paradigm is built on axioms that are considered to be self-evident truths, enforcing truth has been deemed a necessity. Socio-religious axioms include designating the good and the evil, and the evil frequently includes those who don’t accept the truth forwarded by some preacher. The quest for the truth, or more accurately, THE TRUTH, is probably as old as human awareness; but why would knowing the truth have any importance? What advantage does knowing the truth provide? Does such knowledge help in navigating the rough seas of right and wrong? Or do humans hope that such knowledge will light the path for mortals in the form of an unwavering beacon that leads to freedom? To immortality? Omnipotence? The fact that each proclaimed truth turned out to be a Will-o'-the-Wisp rather than a beacon seldom restrained seekers of truth from worshipping the next fashionable conception of truth, which seems to indicate that the belief that there must exist a TRUTH that will liberate us is so deeply ingrained in our way of thinking that not finding it won't deter us from stumbling onward in our search. Over the course of my life, when relaxing I have often experienced entering into a state where everything was blurred, spinning, like cogs within cogs within cogs that were revolving around each other. There is no up or down, nothing fixed to relate to, nowhere to be anchored - an experience that is both unpleasant and yet fascinating. Little did I know that this amorphous space would take form as a question/answer mechanism, yet it did in 1987. I succeeded in separating this amorphous space from my self while being engulfed by it and interacting with it, and it took form and definition as a question/answer mechanism - yes, SHET, whereupon the experience became pleasant and enriching. I named the extracting of information from this mechanism heralding. Man can only understand his place as being in the image of God when he can understand the mechanism of creation. As presented in Holophany, this mechanism of creation is a logical structure, the Holophanic Loop Logic. When man will understand the meaning of this logic, then the paradigm of God will be defined in different terms. And then, man will be able to exercise his freedom of choice and learn to be Creators to Man's fullest potential. The 19th century aspiration to consistency was proved untenable by Gödel (1906-1978) in 1931. He demonstrated that complete sets of axioms in number theory would lead to undecidable (and hence, inconsistent) results. The Holophanic loop logic is essentially different than Gödel's theorem. Including the indefinite yields a language of becoming and dynamics, which are implicitly part of the logical structure and cannot be avoided - so the 19th century dream of consistency a priori had to fail. To control emotion one needs to control the constituents of emotion, those elements that create emotions. What are the constituents of emotion and how to control them?